It's all about bikes at the five-day festival. This five-day film festival encompasses live music at Metro, a scavenger hunt, an art show, parties, and, believe it or not, films, which screen Friday and Saturday, August 14 and 15, at Columbia College's Film Row Cinema (1104 S. Wabash, 8th floor). 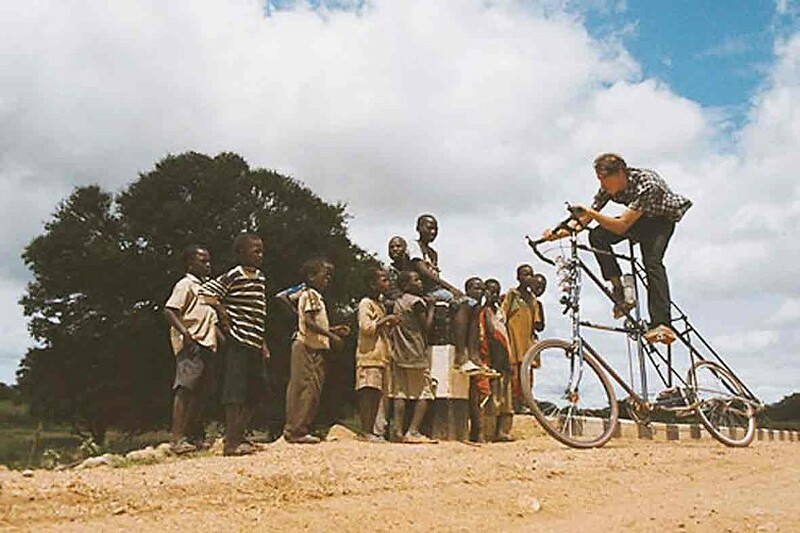 Most of the offerings are shorts, but there are also a few features: Where Are You Go (Fri 8/14, 7 PM) looks at the four-month-long Tour d'Afrique between Cairo, Egypt, and Cape Town, South Africa; The Third Wheel (Sat 8/15, 3 PM) documents the growth in pedal-driven taxicabs on the streets of New York City; the 1956 Japanese drama Keirin Queen (Sat 8/15, 5 PM) centers on a young girl training to be a competitive cyclist; and I Love My Bicycle: The Story of FBM Bikes (Sat 8/15, 7 PM) chronicles the rise of the independent bike company Fat Bald Men.